From a Corporate Finance department at a Financial Services firm to the Accounting Department at Digital Media companies, TBG can find you the right Accountant for your needs. Our team of highly qualified specialists offers large-firm talent combined with personal service. Our staff works as a team to incorporate the correct strategies to find the right candidate for your organization. All candidates go through our extensive pre-qualification processes. Upon engagement with TBG, we begin by taking the time to acquaint ourselves with your company culture and learn as much as we can about what makes a successful placement. Then, our multi-level screening formula allows our staffing managers to understand a candidate’s personality, drive, motivation and the particular environment they would feel most comfortable in. We provide you with a focused and dedicated approach to find the most qualified professionals at the perfect time. 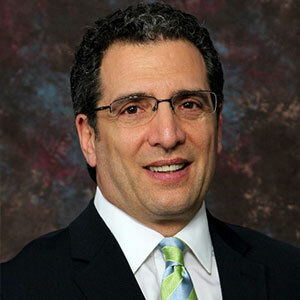 Bob Turano has over 30 years’ experience in staffing permanent Accounting roles across all platforms and verticals. Bob is a former CPA and public accounting veteran whose relationships with high level executives at Fortune 500 firms all over the country have made him one of the top recruitment managers in New York City. His innate judge of skill and character have helped him bring consistent results to candidates and clients alike as a Managing Partner at RT Maxwell, and now here at The Bachrach Group. CJ leads the firm’s Accounting/Finance Division. He utilizes his knowledge and his experience from public accounting/corporate accounting to effectively advise candidates with their careers. With over 5 years of recruiting experience, CJ is able to effectively run targeted searches within public accounting, tax, internal audit, fund accounting, financial reporting, audit, consulting, and corporate FP&A. CJ and his team pride themselves on offering the highest level of service through building interpersonal relationships with both their candidates and clients. CJ is a proud graduate of Hofstra University where he graduated with a BBA in Accounting.